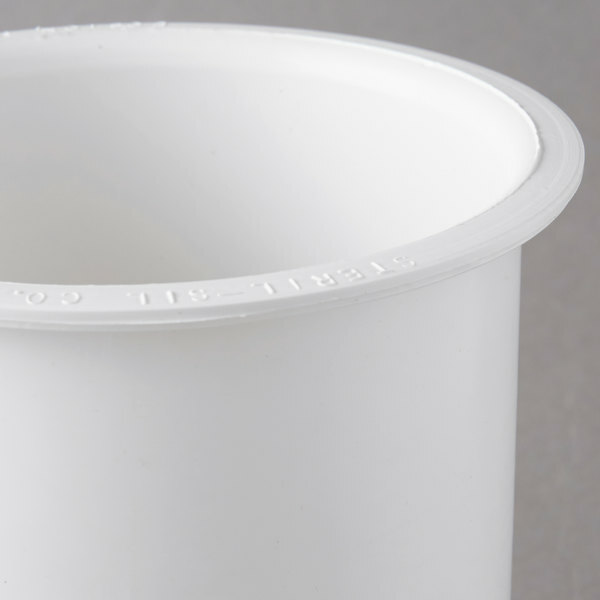 Serving as a great organizational addition to your lunch counter, coffee shop, or buffet line, this Steril-Sil PC-700-WHITE 30 oz. 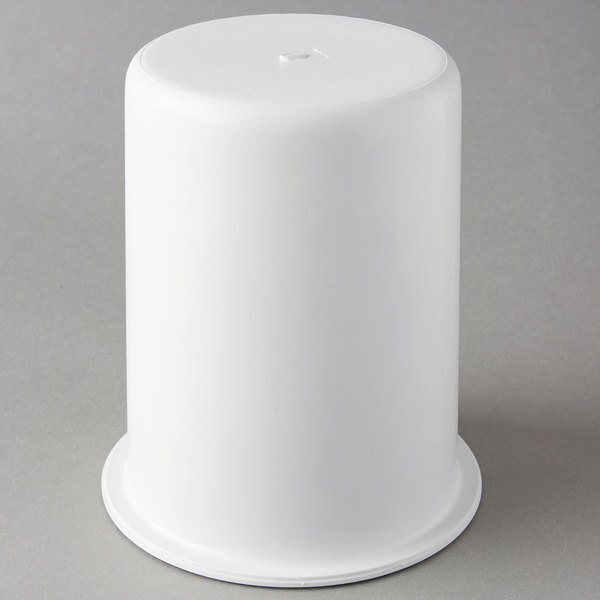 white plastic solid condiment / flatware container provides a multi-purpose and versatile space for your most popular condiments or flatware. 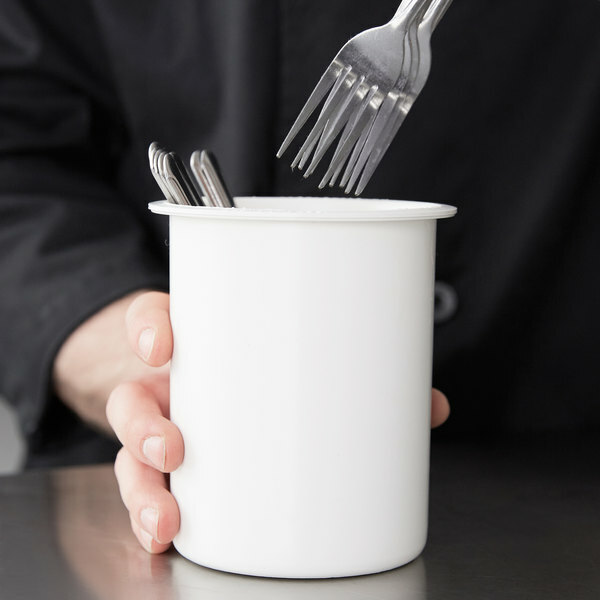 The durable, round plastic container is designed to fit in 4" diameter cutouts and can be filled with signature condiments such as ketchup, mustard, and barbecue sauce, or the item can be used as a holding place for spoons, forks, or knives. Each application is critical for providing your guests with quick and easy access to the items they need to enjoy their dining experience. 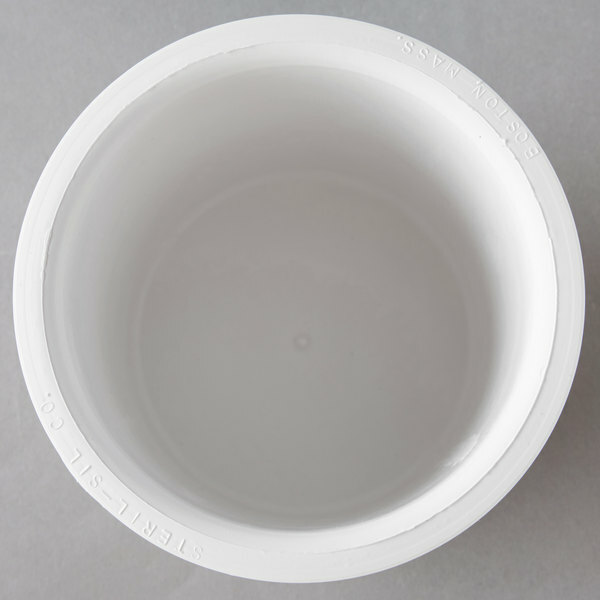 A one-piece design with a thick-walled mold ensures long-lasting use, in addition to making the item easy to clean. 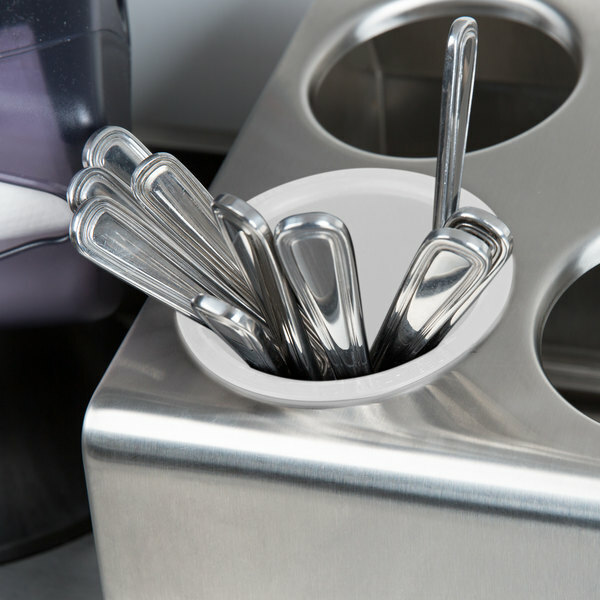 Plus, the wide, stable base eliminates the potential for the dispenser to tip over and create messes or cause flatware to fall to the floor. 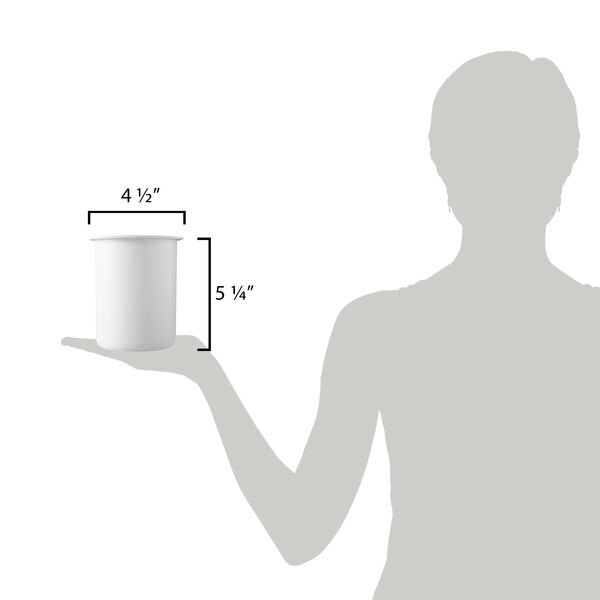 These versatile containers are also compatible with most dispensers and carts that hold Steril-Sil perforated cylinders. 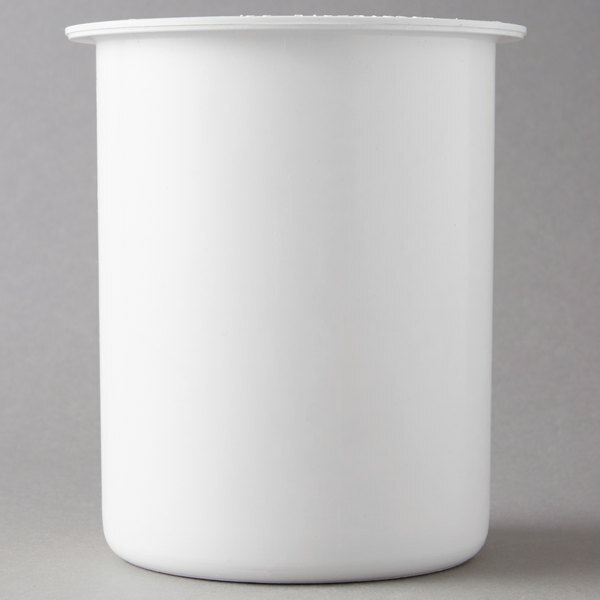 This condiment flatware container is excellent as you can either use it to hold ingredients like candy crumbles and sprinkles for your ice cream shop. 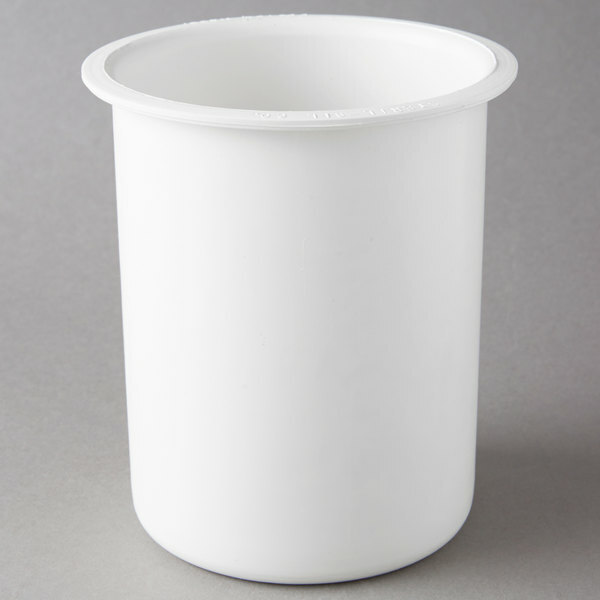 This solid white container is best used after flatware is clean and dry and simple needs a place to be stored until we put it in its proper location. It's solid and holds a good amount of cutlery. It can also be used for dishes prior to washing as well.